Fiverr is a global online marketplace offering tasks and services, referred to as ‘gigs’ beginning at a cost of $5 per job performed, from which it gets its name. The site is primarily used by freelancers who use Fiverr to offer a variety of different services, and by customers to buy those services. It effectively acts as microtask marketplace. So basically Fiverr is a portal for freelancers to sell their services for $5 (plus gigs extra upto $500). Buyer can buy these services and can also request services on FIverr. I have used Fiverr as a seller and also as buyer. 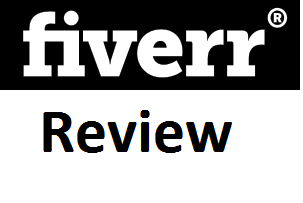 If you are starting out and $5 is a good money for you, then certainly Fiverr is one of the best freelance job site for you. For buyers, this is one of the best site on planet to find cheap services. What are the best types of Fiverr Gigs? According to my experience below are the types of gigs which work best for me. Logos Designs: Getting your logo design for just $5 is awesome. Other Graphics Designs: – You can get your headers, banner, book covers, etc done for just $5. Video gigs: Get professional videos done for just $5. Audio Gigs: Get voice over or song sung for just $5. And many more cool stuff. Just browser around and you will find one after another awesome gigs.